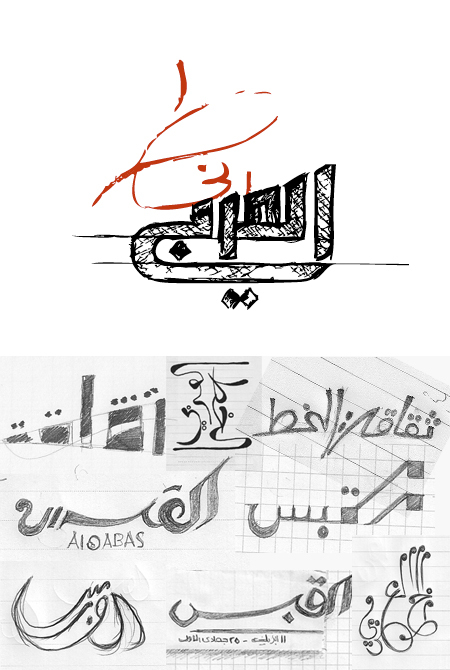 Preview from the workshop process: Above: Lettering by Anwar Ghader . Below: Sketches and process work by various participants. I just returned from a short yet a very productive visit to Kuwait, where I gave a public lecture and where I conducted two workshops: one for the students at the American University in Kuwait; and another one open for professional practicing designers. All part of the Nuqat ‘ala el Hurrouf conference, a new and promising event that is very much needed in the country. The theme of the event focused on one hand on Arabic design and typography, and on the other hand on creative Arabic copywriting for designers. One day workshops are always very challenging to plan, and for this event I came up with a new assignment of Arabic lettering to explore with the participants. 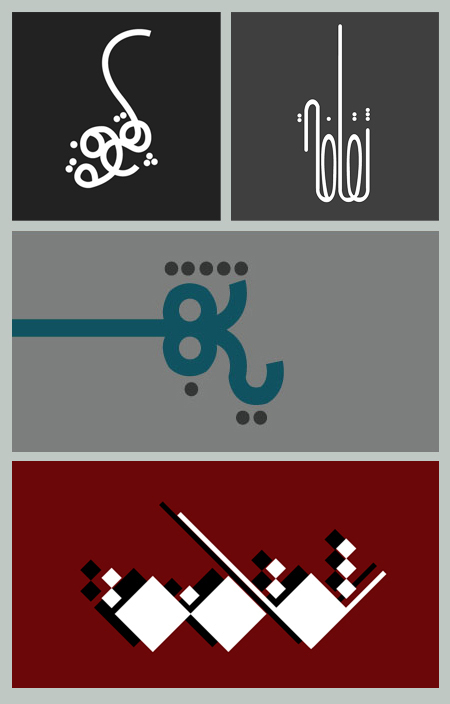 Between the art of classic traditional Arabic calligraphy and the contemporary digital Arabic type design skills, lies the discipline of Arabic lettering, a task often in the hand of graphic designers in the context of Branding, logo design and title design. This workshop consisted then of a typographic exercise inviting designers to focus on one Arabic word, and to explore it typographically in all possible visual ways. The focus was to try to “design the word”: to look beyond the letters and experiment with sketching the word in order to give it the most unique and memorable shape. Workshop work by Sara Al Falah (top) , Noura Al Naggar (middle) and Muneera Al Qinaie. The results were very exciting and I share here a selection of the exploration on the Arabic word “Thaqafa” (culture) and other sketches of different words. The practical side of the workshop was backed up with a presentation of case studies that rationalized and presented different methods and approaches that designer can follow as they work with Arabic lettering. Thanks to Khalid Al-Growi, I collected some charming vernacular printed advertizing material from Kuwait, material that is always interesting to look at and study its typographic and graphic old style treatment. 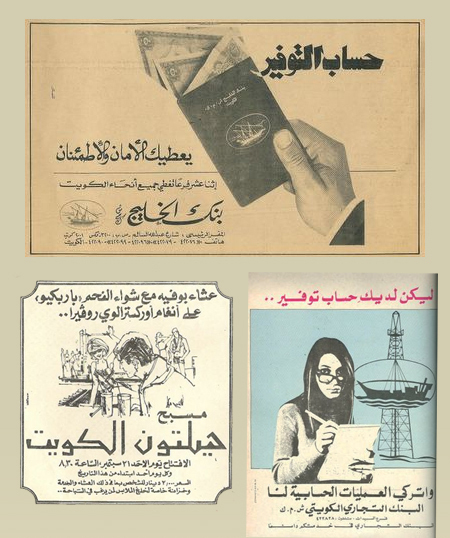 Vernacular printed advertizing work from Kuwait.